Facebook is requiring from Friday for advertisers to give verifiable public contact details before they can organise political campaigns on the social network in another attempt to make online political campaigning more transparent. British news portal The Guardian reports that the move announced on Thursday, March 28, is part of a raft of changes in the buildup to the European Parliament’s elections in May. 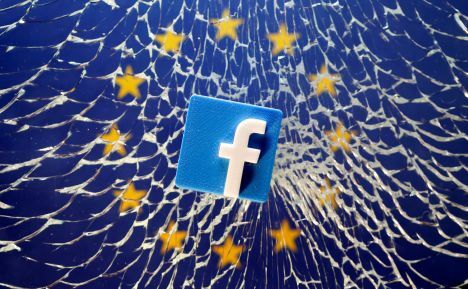 Facebook’s political advertising restrictions will launch in the EU27 on Friday. The restrictions require advertisers on «political» topics – defined differently in each nation – to prove that they live in the country they are targeting, and to store all their adverts in a public database for seven years, along with information about targeting, spend and reach. The rules require advertisers to disclose who «paid for» the advert, a requirement that has earned Facebook criticism in the past, since the company allowed users to write anything they wanted in the box and did not verify the names. Now, Facebook will continue to allow users to write what they want as the source of the funding, but will require they provide at least a phone number or email address through which interested parties can contact the advertiser. The Guardian reports that the requirement is not retroactive, meaning campaigns that have already registered can avoid providing further details.